BLACK WALNUT HULLS (from the black walnut tree - juglans nigra).- Used by the Indians of America as an anti-parasite, anti-bacterial, anti-viral and anti-fungal remedy. Its active ingredients are juglone, tannin and iodine. 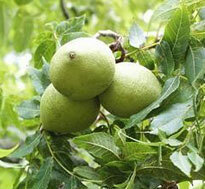 The tincture of the green hulls of the black walnut kills the adult stages of the parasites. Take the recommended amount in 1/2 cup of water. Sip it on an empty stomach such as before a meal. WORMWOOD (from the Artemisia shrub - artemisia absinthum).- Known for its vermicidal properties and helps those with a weak and under-active digestion. It increases the acidity of the stomach and the production of bile. 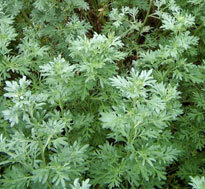 The wormwood capsules kills the larval stages of the parasites. Take according to the handy chart. You take the capsules all in a single dose (you may take a few at a time until they are all gone). COMMON CLOVES (from the clove tree - eugenia caryophyllata).- Anti-parasitical, anti-fungal, antiviral and anti-inflammatory properties. It also removes pain. The cloves capsules removes the parasite eggs. 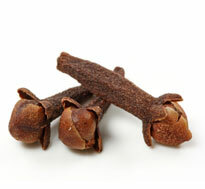 Grocery store ground cloves do not work! They have lost their parasiticide power a long time ago. Take according to handy chart.